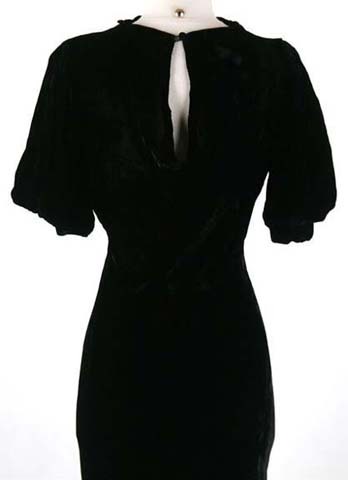 1930s Black Silk Velvet Metal Studs Bias Dress. 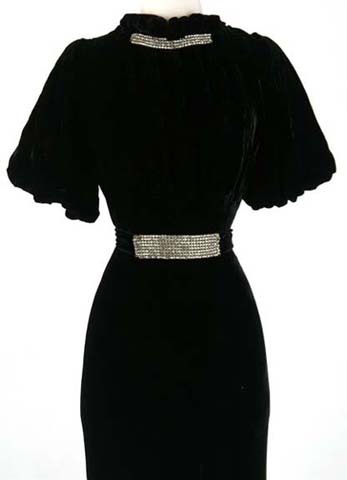 1930s Black Silk Velvet Rhinestone Bias Dress. 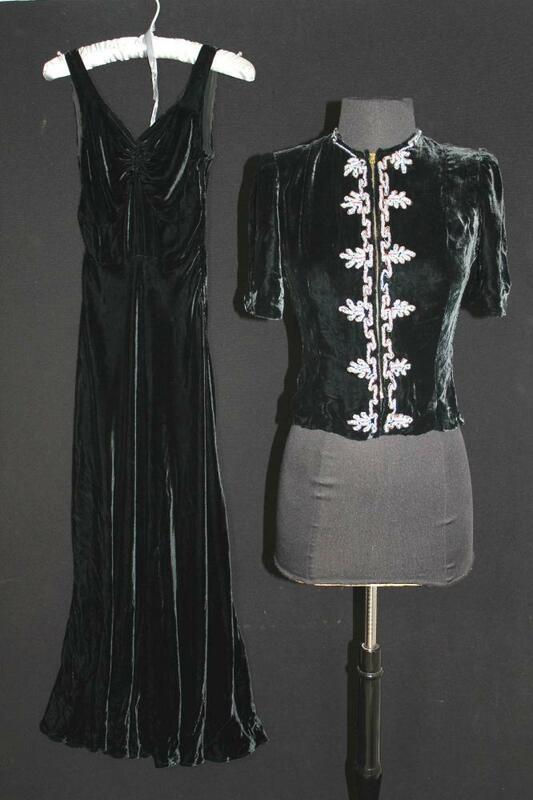 1930s Eggplant Metal Leaf Cocktail Party Dress. 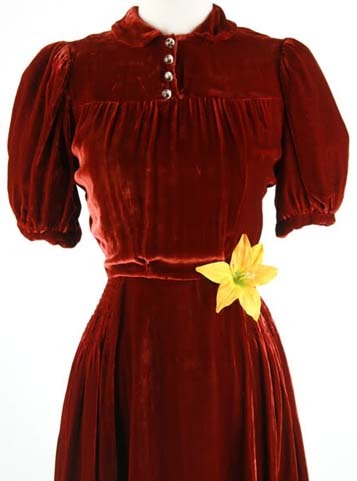 1930s Brown Silk Velvet Glass Button Party Dress. 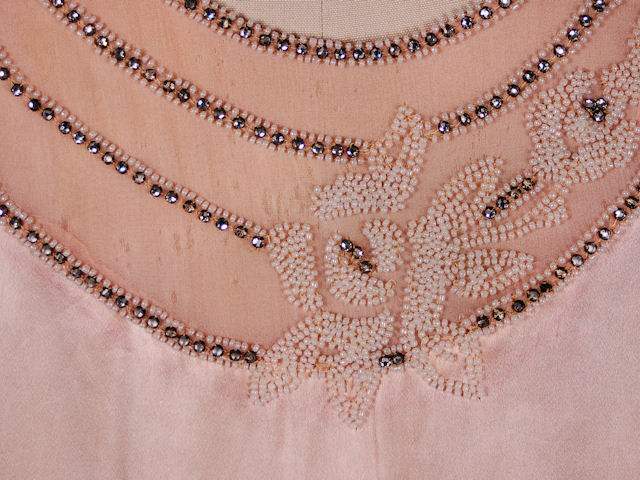 30s Peach Silk Charmeuse Bias Cut Gown, Beaded Yoke. 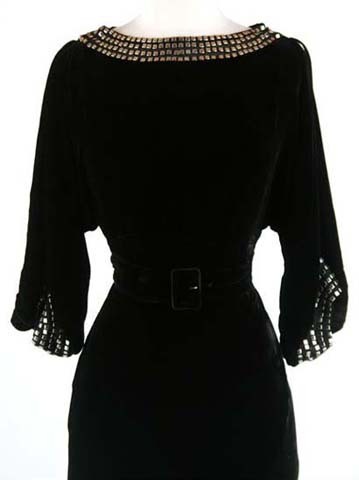 Drippy peach silk charmeuse dress, bias cut with a few zigs and zags. 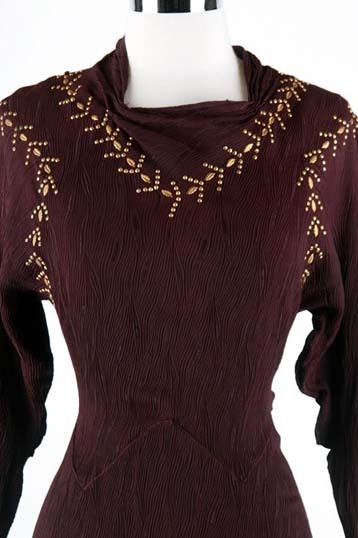 The sheer silk chiffon neckline is embellished with flowers of seed pearls, and rhinestones with rows of rhinestones bordering the yoke. 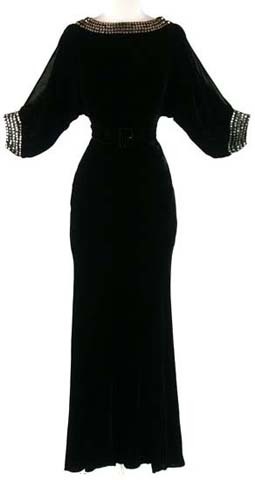 Late 30s long black velvet gown with beaded jacket.